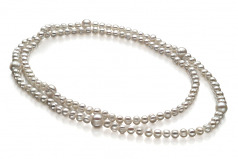 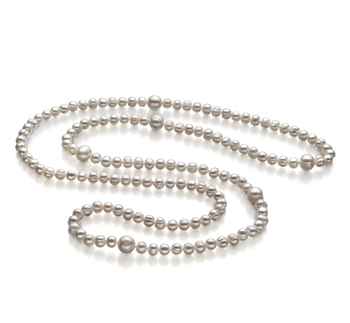 The Chloe White offers an astounding 40” of classic and timeless White Freshwater Pearls. 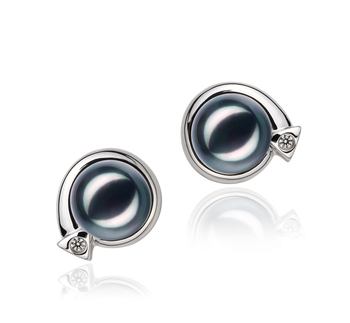 They are breathtaking in sizes ranging from 6-11mm in size. 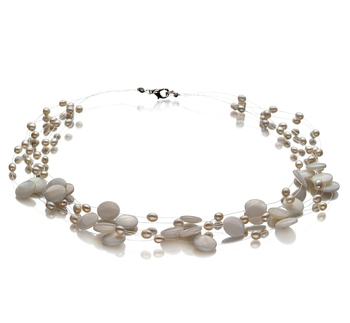 Serving a pattern off a typical 6-8mm size white pearl length with a breakup of a 9-11mm white pearl gives the necklace a unique and interesting overall style. 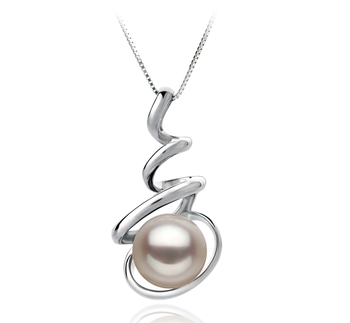 The pearls have a (A) shape. 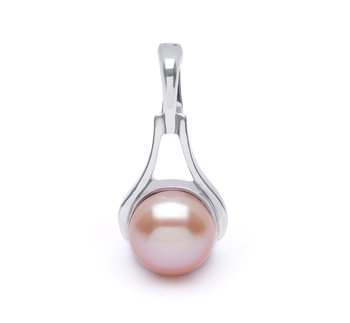 They offer an individualized style that includes ridges, rings and various other surface variations that give each pearl their own identity. 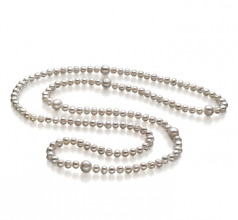 The style and grace of the pearls is simply an amazing factor off Mother Nature and the natural pressures of the growth. 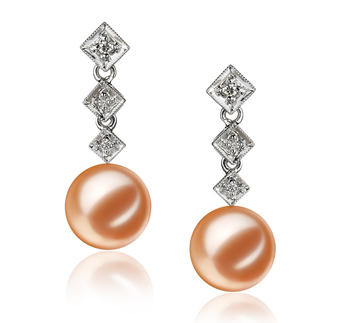 The AA mirror like luster provides an astounding and glistening glow on each pearls surface. 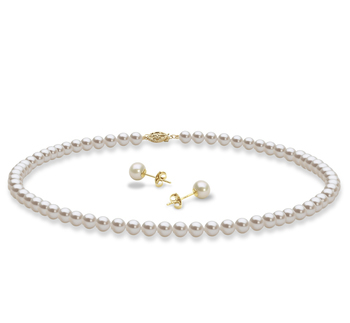 The single strand of pearls lights up and sparkles against your natural skin tone. 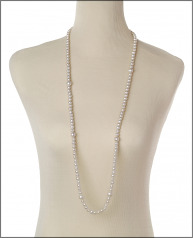 Show only for "Chloe Necklace"